MUNSTER, GERMANY - DECEMBER 23: People walk and cycle on Prinzipalmarkt street at Christmas on December 23, 2015 in Munster, Germany. 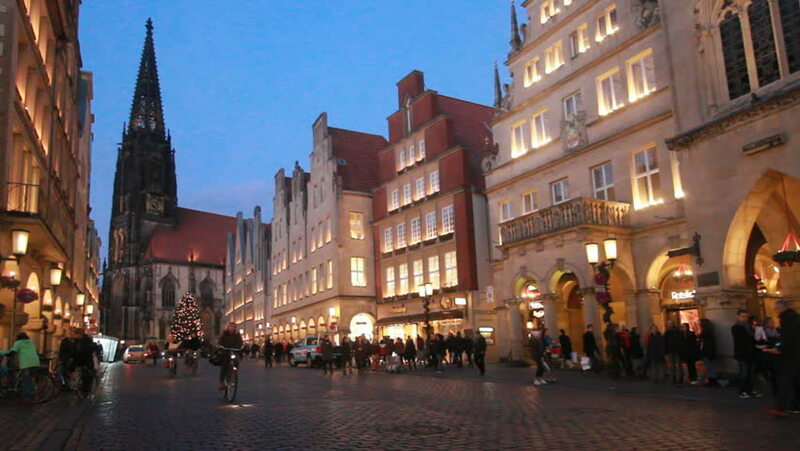 Munster is a historical regional town in Germany. hd00:10Bruges - CIRCA 2012 Time-lapse of a street scene in Bruges, Belgium.